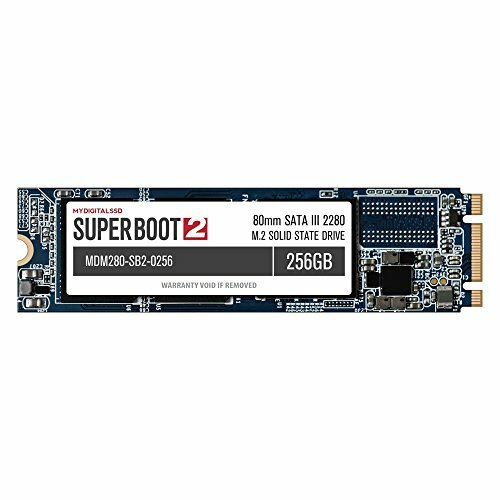 Super Boot 2 | SB2 | 2.5" | 7mm | SATA III (6G) | PHISON S11 Controller | Turn Minutes Into Seconds | MyDigitalSSD Super Boot 2 solid state drives guarantee your computer is ready when you need it. SB2 SSDs eliminate long boot times and slow loading applications while boosting overall performance and reliability for an improved everyday user experience. If you have any questions about this product by MyDigitalSSD, contact us by completing and submitting the form below. If you are looking for a specif part number, please include it with your message.